Recently, Alexander the Great has been on the news again. This time that is because New Zeland toxicologist Dr. Leo Schep has proposed a new theory on the much-discussed topic of the great king’s death, namely that he was poisoned with hellebore (veratrum album). 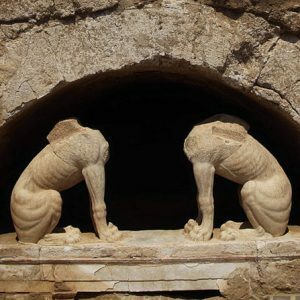 In any case, Alexander being in the press is not exactly a rare event: only 10 months ago a story circulated about the supposed (but rather unlikely) discovery of the tomb of Roxane, his wife (and we discussed it here). It is, of course, unusual for an individual to receive so much attention so regularly even 2,336 years after taking his last breath. But then, even though he died, as all humans do and will, Alexander never really went away. 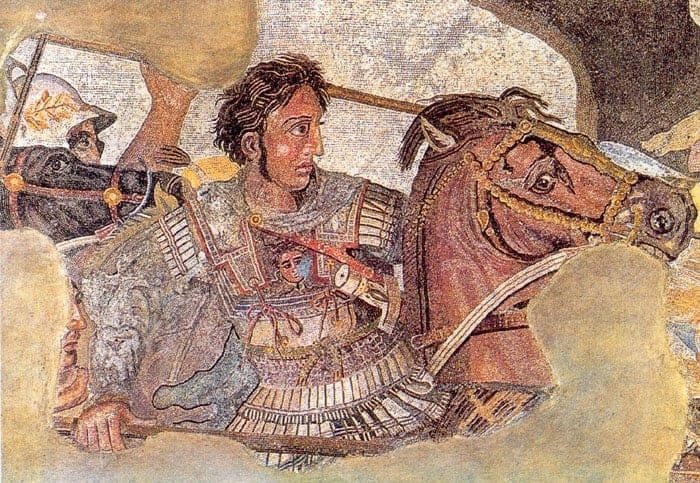 His character, his achievements and the legend he already became during his lifetime are so unique and powerful that they cast a long shadow across countries and continents, across cultures and traditions, across centuries and millennia, making Alexander one of the most fascinating historical figures of all time. 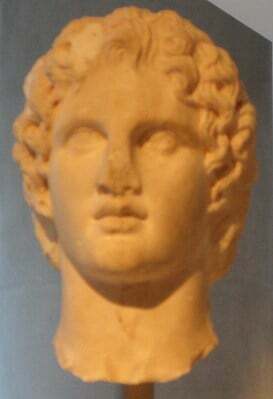 When Alexander died at Babylon in the summer of 323 BC, a few weeks short of his 33rd birthday, he was firmly established as a personality outside normal categories, a man who had achieved beyond imagination, beyond reason even, to such an extent that many saw him as something more than a mere human, as a semi-divine creature and son of Zeus. Only 13 years earlier, in 336 BC, he had been proclaimed king of Macedon after the assassination of his father, Philip II. The realm he took over, incorporating most of mainland Greece and the Aegean islands, had been created by Philip through years of warfare and diplomacy and was actually the largest such entity in terms of territory that had ever existed in Greece. But Alexander’s ambitions went far beyond his father’s vision. Using the relative stability that Philip had created by submitting the Greek city states, and his own gifts, including great daring, high intelligence and immense charisma, he attacked the Persian Empire, one of the largest the world had seen by then, stretching from the western shores of Anatolia (modern Turkey) and Egypt all the way through what is now Iran into today’s Pakistan and Afghanistan. Alexander’s childhood taming of the wild horse Bucephalus, his conquest of vast territories, his defeat of huge armies , his extraordinary decade of campaigning over a distance totalling over 35,000km (22,000mi) and entering areas beyond the world then known, his attempt to merge Macedonian and Persian identities are the stuff of legend, as is the foundation of over 20 cities bearing his name (some lists actually reach over 80). It is by no means a given that Alexander, had he lived two or three decades longer, would have been able to successfully maintain and control his enormous new empire. Thus, it is hardly surprising that it disintegrated into a number of competing kingdoms soon after his death. But his short, comet-like career changed the world and its history forever, marking the advent of the Hellenistic era, when aspects of the Greek culture that Alexander and his men brought with them became widespread and when the Greek language became lingua franca throughout the Eastern Mediterranean and beyond. The man’s lasting fascination is evident in many ways, and many places. His story has been told thousands of times, ranging from contemporary historians he brought with him on his campaigns (all lost by now), via the famous Life of Alexander by Arrian of Nicomedia (written four centuries after the events), medieval romances in extraordinary diverse languages, including Farsi, Provençal and Middle Irish, to folksongs, novels, the occasional movie, and – needless to say – reams of scholarly literature. Statues of Alexander are a common sight in more than one country. There are many ways to engage with this larger-than-life figure. One of them, and the closest to our heart, is to visit the locations of key events in his life, to see, feel and explore the places that defined him and his career. Back in 1994, Peter Sommer set out to do just that, travelling alone and on foot to follow the route of Alexander’s campaigns through what is now Turkey. That voyage, epic in itself, was the inspiration for Peter’s first ever tour in 1996, the very foundation stone of Peter Sommer Travels. Of course, our growing range of tours and destination means that we explore a great many places, cultures and topics not directly related to Alexander the Great, but he keeps coming up. One of many highlights on our Cruising the Amalfi Coast tour is the famous Alexander Mosaic from Pompeii, on display in Naples and probably based on a painting created during Alexander’s lifetime. On our new Exploring Macedonia tour in Greece, while dealing with the entirety of that beautiful and historical region, we “meet” Alexander repeatedly, visiting the place of his birth, the spot were Aristotle, greatest philosopher of his age, tutored the young prince, the site were Alexander lavishly buried his father and also the altar where Alexander sacrificed to Zeus before embarking on the Persian campaigns. And in Turkey, we still follow his footsteps on a grand scale, recreating the drama of his whirlwind campaign in 334 and 333 BC that laid the heart of the Persian Empire open to the Macedonian army. Our 11-day tour In the Footsteps of Alexander the Great: The Conquest of Asia Minor – Part One is one of our classic itineraries, taking in an array of key sites in Western Turkey, and bringing the heady days of Alexander’s early successes back to life. It begins in Istanbul, a city that straddles the two continents of Asia and Europe much as Alexander’s realm did, both physically and in spirit. Although the great king never set foot in Byzantion, the city’s predecessor, it contains one of the most impressive testaments of his time: the Alexander Sarcophagus. 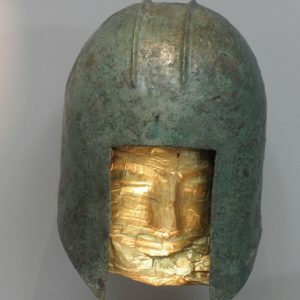 Found at Sidon in modern-day Lebanon, it remains unknown whose tomb it once was, but the occupant must have been a person of great importance, quite probably directly associated with Alexander. Carved by Rhodian sculptors from imported fine Greek marble only a few years after Alexander had died, it depicts two lively scenes of Alexander’s life, one an immensely dramatic battle scene (the 333 BC Battle of Issus), the other a lion hunt. 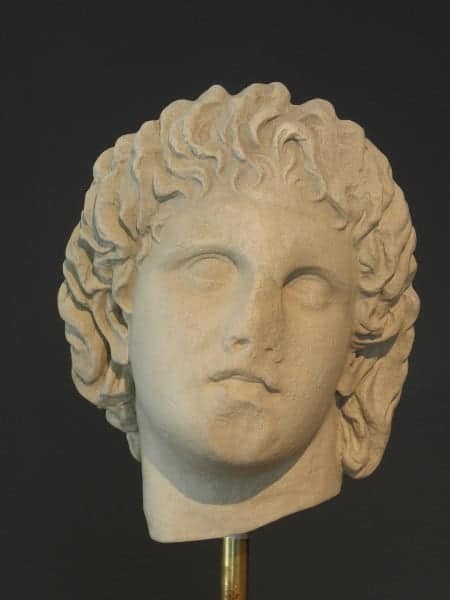 Portraits of Alexander the Great created so close to his own lifetime are not commonly found – and beyond that, the sarcophagus is generally considered one of the finest achievements of Hellenistic sculpture! The tour then continues westwards to the Hellespont. 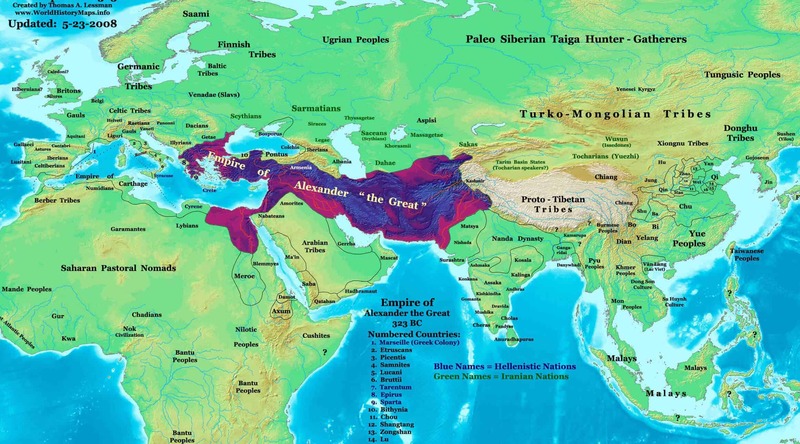 Alexander’s crossing of that strategic strait in 334 BC was the beginning of his war against the Persians. Interestingly, one of the first things he was eager to do once on the Asian side was essentially what we are now doing in his honour: sightseeing. Alexander stopped at Troy, to view the location of Homer’s Iliad, a work he knew by heart, and to worship at the tomb of Achilles, a hero he greatly admired. At the local temple of Athena, he was presented with Achilles’ famous shield, which he was to carry on his campaigns for the rest of his life. Nowhere do we follow his footsteps more literally than here, engaging in the very same activity he did (minus the naked running around Achilles’ tomb), but what we carry away is insights and memories of Troy, one of the most significant prehistoric sites in Turkey. One of our next stops is a quiet place on the idyllic banks of the Biga Çayı. In antiquity, this little river was known as the Granikos or Granicus and it is here that Alexander fought his first major battle against the Persians on a fine spring day in 334 BC. Although he nearly lost his life to a Persian axe-blow, he finally dealt a resounding defeat on the Persian army, suffering only limited casualties himself. The quiet, rural and serene atmosphere that prevails here now stands in a fascinating contrast to Peter’s lively account of the day of battle. Like Alexander, we continue to Sardis. This important regional capital of Lydia, legendary for its wealth and for its invention of coinage three centuries earlier, surrendered to the Macedonian king without a fight. 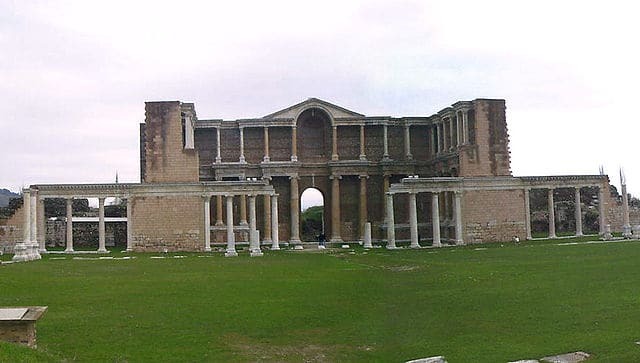 Today, Sardis is famous for one of the most spectacular archaeological monuments in Western Turkey, the vast Roman gymnasium. There are also remains of its great temple of Artemis, still under construction during Alexander’s visit. According to Arrian, it took Alexander only three days to travel from Sardis to Ephesus in Ionia via the coast, some 130km (80mi). Legend has it that he stopped near the venerable city of Old Smyrna on the way and dreamt of rebuilding it at a grander scale in a more convenient location, a plan that was actually implemented about a generation later. Smyrna, modern Izmir, was to become one of the key cities on the Aegean coast and remains so to this day. We will explore its Roman centre as well as one of the best archaeological collections in the region. Following Alexander’s route, we continue to Ephesus. The city also surrendered to him without battle, and its citizens conveniently murdered many members of the aristocracy that had governed it under Persian rule. Alexander used the opportunity to show his considerable political acumen by calling a halt to the slaughter on the one hand, on the other by replacing the ruling cliques of Ephesus and other cities that had fallen to him with democratic systems of (local) government. In Alexander’s day, the most famous sight of Ephesus would have been the huge Temple of Artemis, one of the Seven Wonders of the Ancient World, which had famously been destroyed by fire on the night of his birth. Alexander offered to finance its rebuilding, but the Ephesians declined, arguing that one deity (Artemis) should not take donations from another (Alexander). We, too, visit that site, and continue to the vast and imposing remains of the Roman city, perhaps the most splendid of all the antiquities on our itineraries. Alexander’s next key objective was the great city of Miletus. Due to the presence of a large Persian fleet nearby, the Milesians chose to resist him. Rather foolishly, as it turned out. Alexander essentially ignored the naval aspect and laid siege to the city’s land walls, using his much smaller fleet to effectively block its harbours and deny the Persian boats access. The land siege was also his first to employ major siege machinery. Miletus fell on the first day, but the survivors were treated leniently. Afterwards, Alexander decided to disband his fleet, sending a major signal that he and his troops were in Asia to stay. Today, the ruins of Miletus, including its huge theatre, sit brooding over the silted-up remains of its once great harbours that played such a significant role in Alexander’s siege. 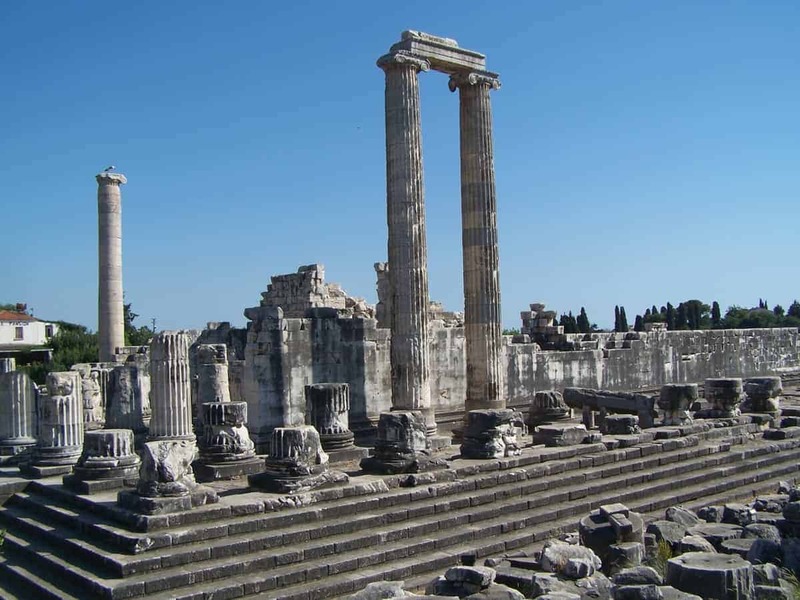 Near Miletus, Alexander visited the great sanctuary and oracle of Apollo at Didyma, which had been ransacked by the Persians some 160 years earlier. He had it reconsecrated, and one of its first predictions was of his final victory. 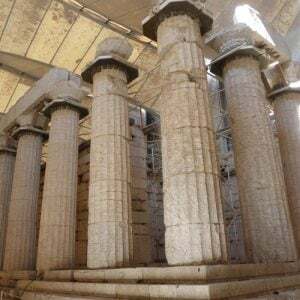 The ruins of the re-erected temple, begun not long after Alexander’s visit and never completed, are among the most stunning examples of Greek architecture to survive. Alexander then continued eastwards, entering Caria. On the way, he must have passed near the coastal town of Iasos, which does not appear to have resisted him. Iasos was to develop a special connection with Alexander some years later as the result of a peculiar event. Apparently, a local boy, Dionysios, was befriended by a dolphin while swimming in the sea. The two became very close and on the dolphin’s accidental death, the boy was inconsolable. Alexander heard of this strange story and deducted that Dionysios must be a favourite of Poseidon, god of the sea. He had him brought to Babylon where he was instated as a priest of that god. 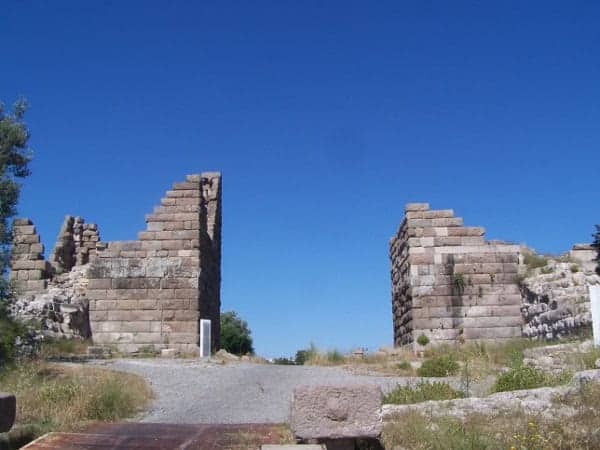 Today, Iasos is notable for the very charming remains of a city that appears to have flourished for several centuries after Alexander’s reign. Alexander’s next destination was the capital of Caria, Halicarnassus (Halikarnassos), refounded as a major city by the great Mausollos a generation earlier. The city (now the well-known resort of Bodrum) was surrounded by a set of extensive and reasonably new walls, was armed with catapults, and its garrison, headed by a Persian and by a Greek mercenary from Rhodes, was not in surrendering mood. Arrian gives us a vivid account of Alexander’s multiply frustrated attempts to take the city, often putting himself in the front line of fighting, as well as his unsuccessful sideshow trying to conquer nearby Myndos. The siege appears to have lasted over a week in the autumn of 334 BC. Eventually Halicarnassus, too, fell, but only after its commanders had burnt a large part of the city to deny Alexander his spoils. After the conquest, Alexander reinstated a former queen, Ada, niece of Mausollos, as the ruler of Caria, and in turn she expressed her admiration and affection by adopting him. On our tour, we visit the well-preserved Myndos Gate, where some of the dramatic events described by Arrian took place, reliving the hue of battle. We also go to the great crusader castle of St. Peter, built from the stones of Mausollos’s monumental tomb, and now housing a fantastic museum of underwater archaeology. One of its key exhibits is the tomb of a late 4th century Carian princess, rumoured to be queen Ada herself, the lady who had treated Alexander the Great with such kindness.